Michael Todd's Soniclear is amazing. I was given the chance to start using it a few weeks ago and I'm officially addicted. I heard about these fancy electronic face scrubbers over the year but never thought I needed one. My hands and fingers do a good enough job at cleansing my face and I never thought the money was worth it. I was also always afraid that I'd have to constantly replace the brushes because they'd get dirty due to my dark makeup and my love of bronzer and blushes. Luckily the Soniclear comes with a built in antimicrobial protection to keep stains and odor causing bacteria away which is a killer for clean and healthy skin. The last skin care tool that I purchased was the Neutrogena Microdermabrasion System back in April of 2014 and while I really like it, I was ready to graduate into something more. Something that I could use daily, gave me a deeper clean and of course was fun to use. How is the Soniclear not perfect in that situation? 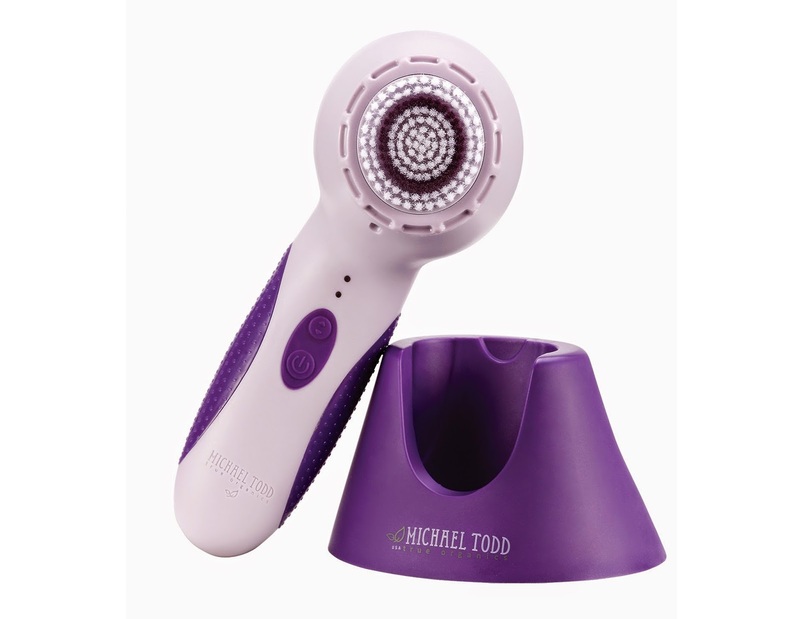 The Soniclear comes with the actual device, both a face and body brush, a charging stand and the power cord. I love that it isn't battery operated because I just have to put it on the stand to charge when I'm done and it'll always be ready for the next use. Another thing that I really like is that the box comes with a larger brush to use on my body because I like to use coffee scrubs and my St. Ives scrubs with salicylic acid to keep my super smooth and perfect. Like I mentioned before, I haven't had the chance to use other popular electronic facial scrubbers but at this rate I don't think I have to. I'm currently away for work and the Soniclear is the first and last thing I use. It's also waterproof, which is amazing, because I like to take care of my entire morning cleansing routine in the shower to maximize time and give me a few extra hours of sleep! ***I received one or more of the products mentioned above for free using Tomoson.com. Regardless, I only recommend products or services I use personally and believe will be good for my readers.